Starting in September – FastTRACK gets better. With faster payments now made at every rank through Master…for strong, sustainable growth! Our supercharged career path designed to reward new Leaders for faster growth will soon have a new payout structure that offers FastTRACK awards from Senior Director through Master Coordinator! Payments begin after the 2nd consecutive month of maintaining a newFastTRACK rank – earlier rewards! Reach a new Business Leader rank within the specified FastTRACK time period. 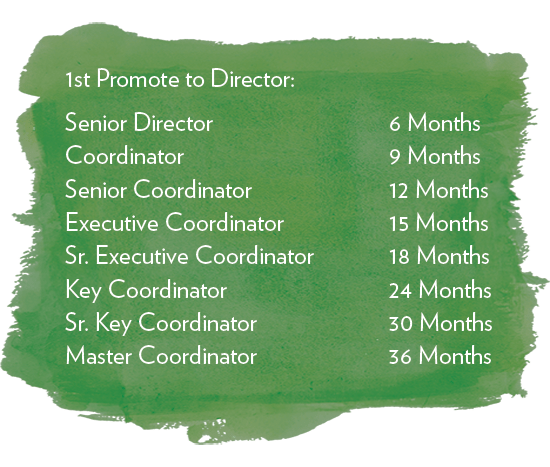 The first award is earned at Senior Director, which must be achieved within 6 months of the time you first become a Director. Maintain your new rank for one additional month (two consecutive months). TheFastTRACK award for that rank will begin to paid in the second month. You then have 11 months in which to earn up to 9 additional monthly payments, up to 10 payments in total. You will be paid for each month that you maintain. You can even miss one or two months of being qualified after you’ve received your first payment, and still continue to receive the rest of the payments for that rank! Earlier payments, stronger businesses, greater sustainability. That’s the newFastTRACK – and it starts September 1, 2014!